When Maserati wrote their mission statement to “Build ultra-luxury performance automobiles with timeless Italian style, accommodating bespoke interiors, and effortless, signature sounding power” they set the bar pretty high for themselves, but over the years they have gone above and beyond this with some of their designs including the 3500 GT, the Bora and more recently, the GranTurismo. The particular car I drove was a 2009 model finished in a flawless Metallic Nero paint with a contrasting cream leather interior. It was jaw-droppingly gorgeous. As you walk up to the GT, you start to appreciate just how big it is, pictures don’t give you a very good sense of scale and compared to a lot of other sports cars, it’s a bit of a beast. Big hips, a wide gaping mouth and narrowed angry-looking eyes. Upon stepping into the spacious and inviting cabin, you know you’re in a proper grand tourer. Compared to most cars of today, the interior feels a bit dated, and by a bit, I mean my 2007 Mercedes was years ahead and it was two years older. It’s a common thing I have noticed with Italian cars that I have driven from around 2003 to 2009 and to be honest, it doesn’t put me off in the slightest. 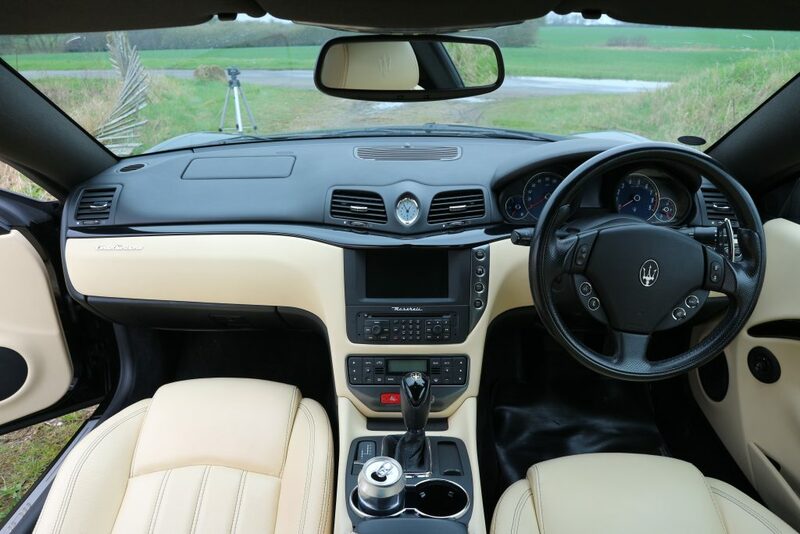 Yes, the navigation unit is terrible, and yes the sea of cream leather feels a little bit too “handmade”, but if you want to feel like the whole production budget of the car went on the inside, buy a Mercedes W216 CL500, or a BMW 650. That’s not what this car is about. The great thing about it is the lack of distractions inside. There are very few gimmicky gadgets to get in the way of you and the driving experience. The driving position is great and the perforated leather steering wheel feels so good to grip and the paddles are in a great position for banging through the gears on those open stretches of road. Lots of comfy cream leather and the perfect driving position. 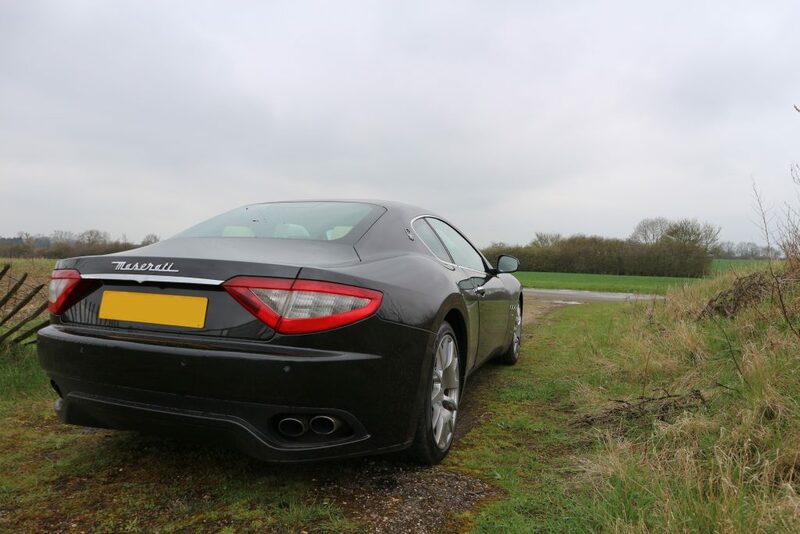 It may not be as technologically advanced as the Mercedes, or as comfortable, but one thing the GranTurismo better than it’s German counterparts is sing. The Ferrari-derived 4.2-litre V8 erupts into chorus upon start-up and then it dips into a deep murmur as the engine ticks over. Before setting off for my first drive, I like to familiarise myself with the cabin and have a proper look around, just to see how it makes me feel and compare it to other similar cars, like whenever I sit in a new McLaren, Ferrari or anything like that I instantly start comparing it to how it felt getting in the F430 and with this, I naturally start to compare it to the other big GT cars I’ve owned or driven over the years like my old CL500 Mercedes and the Bentley Continental GT, but this feels different. In the GT and the CL, everything feels far away and you feel like you have miles of room between you and the passenger seat, and everything feels bulky and solid, whereas in this it feels more like it did sitting in the F430. You don’t quite have the same feeling of your bottom being just inches off the floor, but unsurprisingly the feel of the materials and the driving position are very similar. The steering wheel feels almost identical in my hands, if not a little bit more padded and even the door grab-handles and seats feel like they could be the same. Another thing that feels very different to the other GTs I’ve driven is the ride at low speed. As you pull away there’s an obvious lack of heavy and expensive air suspension and the rubber band tyres mean you feel every little pebble in the road as you get ready to pull away. All of a sudden this feels more like a sports car than long-distance mile-muncher and this feeling gets stronger as you build up speed. Acceleration is fairly pedestrian by today’s standards, with 0-62mph taking 5.2 seconds but it feels quick enough, plus you have that wonderful sound of 395 Italian horses shouting at you as you bury your foot – something you have to do more than you would expect in a car like this. Yes, it does have nearly 400bhp, but with only 339lb-ft of torque mixed with it being quite heavy, it lacks that mid-range power that would want and expect from a car like this. Despite the car feeling stiff and a bit bumpy at low speeds, it’s very flat and smooth on the road and it’s actually really well balanced through the corners but I can’t help but think it has a bit of an identity crisis. 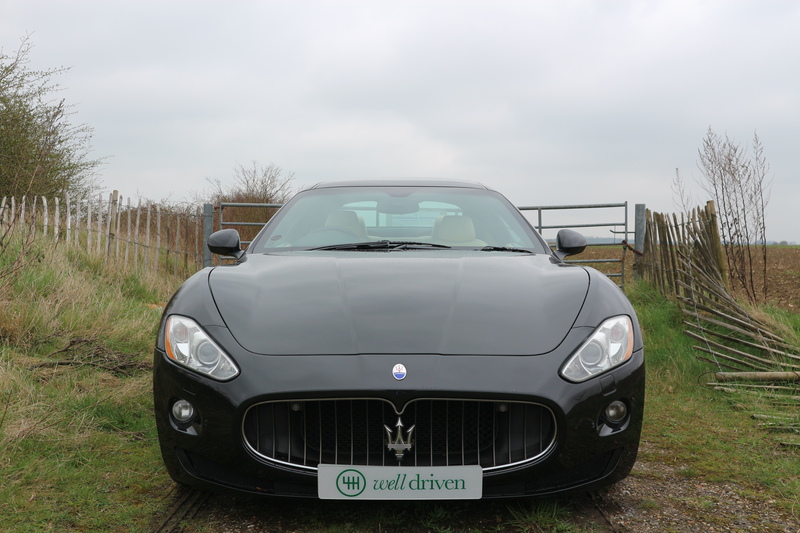 When Maserati launched the car they were steering away from lap times and performance figures and going for a more luxurious approach to things and with its size, that makes perfect sense. However, the overall driving experience is that of a car that wants to be faster, have more pull and be more aggressive instead of a cruiser and it just doesn’t have the power delivery to compete with cars like the E9X BMW M3 or Porsche 997 911. I love the sound it makes and I think it’s by far the most beautiful car in its class – and I also like that it’s a bit of a dark horse when it comes to appeal and credibility – someone who buys a Maserati is almost definitely going to be more interesting than a BMW or Audi owner – it just needs to make it’s mind up and either be as comfy as a CL Mercedes or as fast as an M3… I would obviously rather the latter!